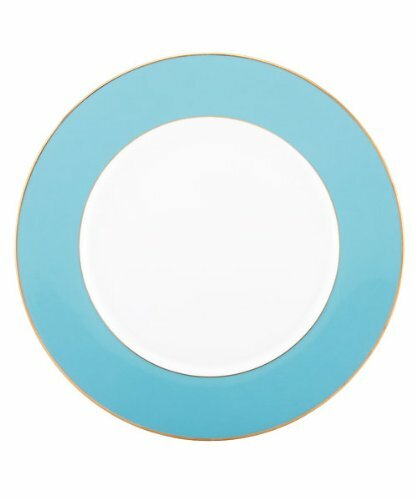 This Marchesa Couture sky blue-banded charger will add a dramatic touch to your table setting. Rimmed in platinum, the charger is designed to be used beneath the dinner plate for a sophisticated table setting. Pair it with Marchesa Palatial Garden dinner plates. Diameter: 11 3/4".